Hang this gorgeous bunting around your party or even your home! Easily attach this bunting to walls, marquees and even furniture to create a dreamy atmosphere for your guests to enjoy. The bunting has four unique designs, one smaller pastel floral print, one larger floral print, one soft pink and Rose gold Dotty foiled print and one Rose gold Foiled. 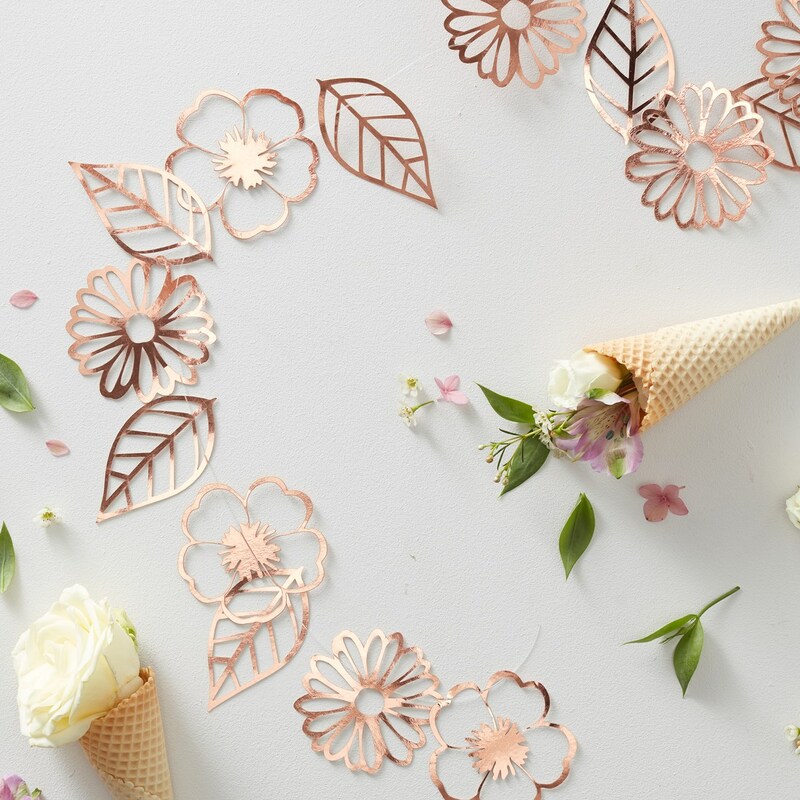 The Rose gold accents will shimmer and shine throughout you party, enjoy! The Bunting measures 3.5m with 27 flags and features four designs.